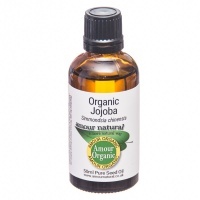 Amour Natural Organic Sweet Almond Oil is a nourishing oil with a slow absorption time, ideal for massage. 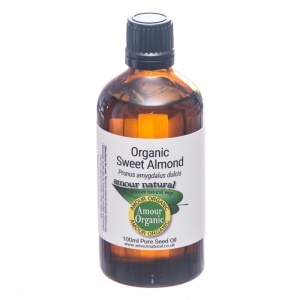 Sweet almond oil is a versatile oil, very popular for massage and for use in skincare products. Sweet almond oil is extracted from the kernals of the almond tree by the cold-pressing extraction process, which helps preserve the active ingredients within the oil for maximum potency. The oil is rich in oleic and linoleic essential fatty acids. These fatty acids emolliate the skin by balancing the loss and absorption of moisture. The oil is a popular choice for massage because it is silky smooth whilst not penetrating too quickly into the skin or leaving a greasy residue. The oil can be used on its own or as a base for other ingredients, e.g. 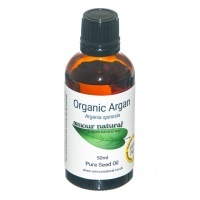 with a few drops of essential oils for increased therapeutic benefit and a desirable scent. 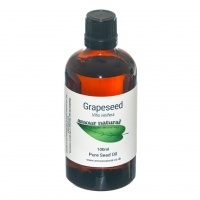 It is suitable for all skin types but is especially valuable for dry or irritated skin types. As sweet almond oil is relatively unstable it has a shelf life of 6-9 months. The shelf life can be extended by adding a few drops of Vitamin E oil or 10% jojoba or wheatgerm oil.